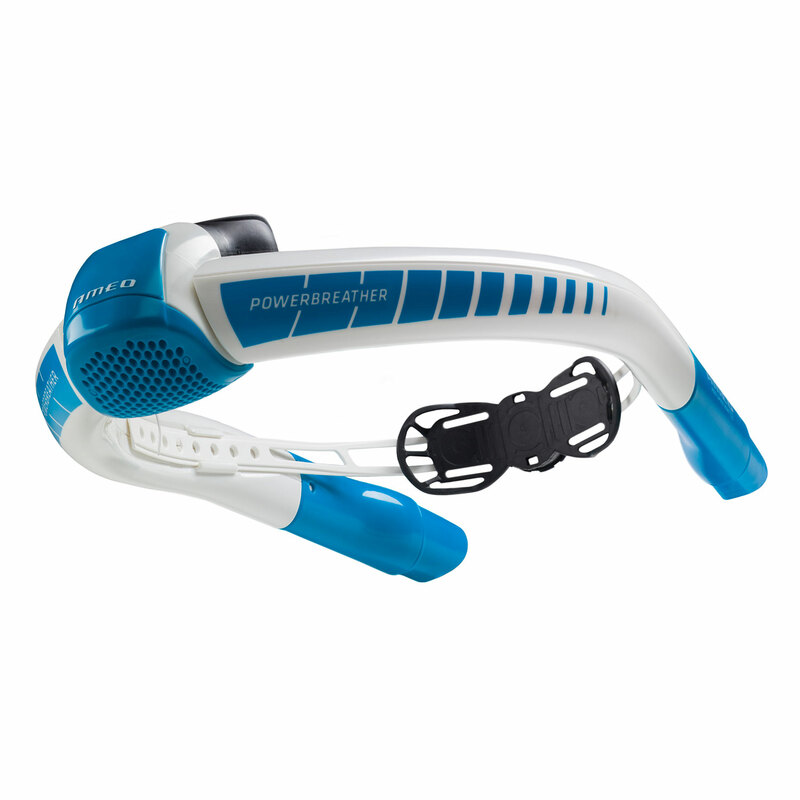 The Lap Edition is for anyone who wants to swim in both the pool and calm open water. Also for lower swimming positions. 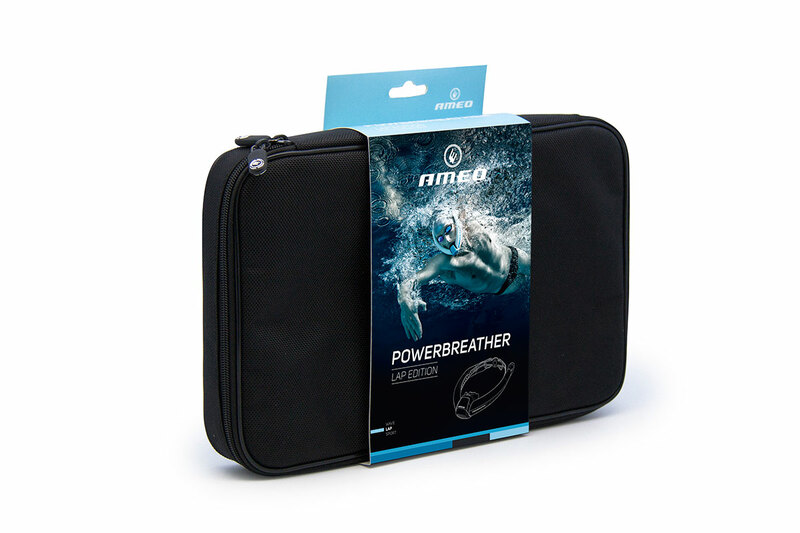 The POWERBREATHER is an innovation for swimmers of all performance levels, triathletes and snorkelers; ideal for technique, endurance and respiratory muscle training in one. AMEO FRESH AIR SYSTEM – Innovative 2-way separation system – for always fresh, oxygen-rich breathing air and free D-Tubes. SPEED VENT – Quick reaction time of the valve as well as flexible adjusting to various applications and training aims. EASY FIT AIR JUNCTION – Quick application with maximum fitting accuracy and wearing comfort. 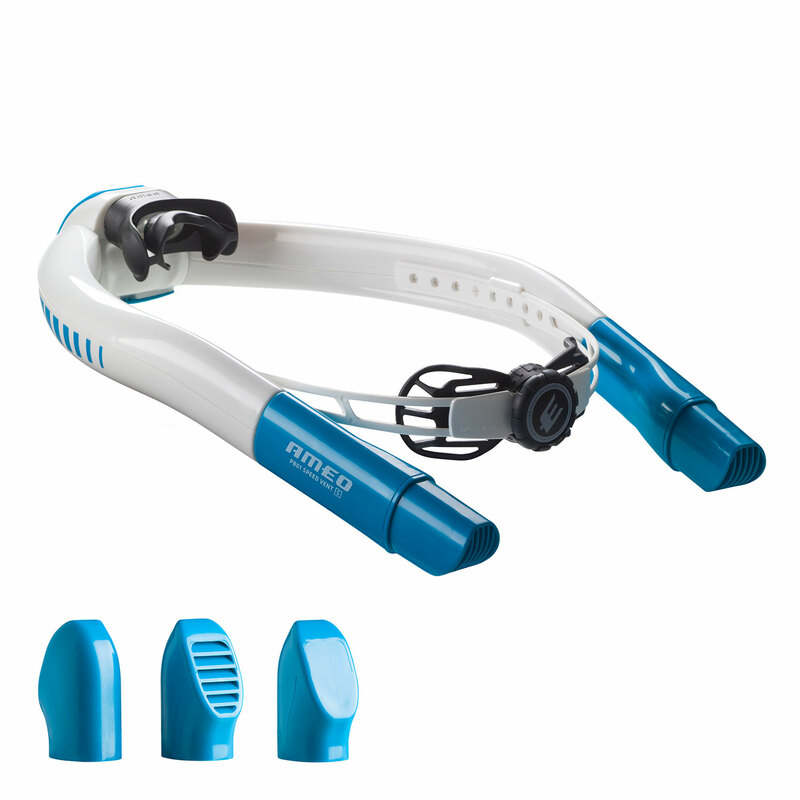 TWIST LOCK SYSTEM – Comfortable adjustment to the individual size of the head. D-TUBES – D-shaped profile for comfortable, secure hold with optimum airflow (inside) and flow resistance (outside). 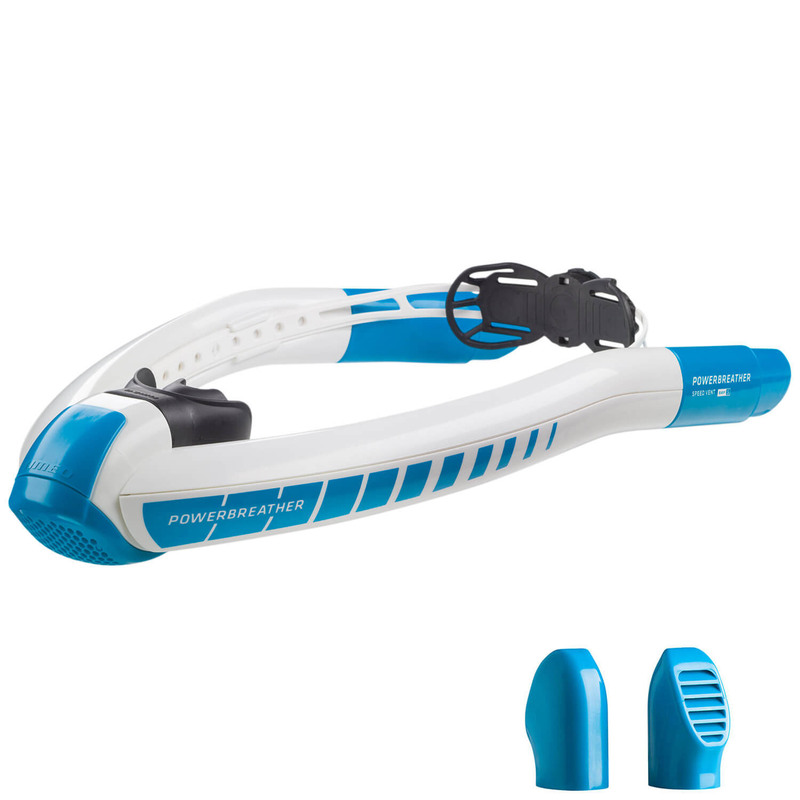 For more information see POWERBREATHER UK.